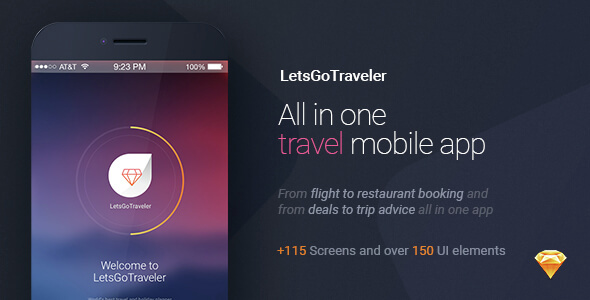 The “LetsGo Traveler | All in One Travel Sketch UI kit” is one solututions for all your travel and holiday business. It is made with creative, clean & modern vision. The mobile UI kit is design in Sketch 3.6 and with a highly professional process to make it easy to modify and redesign. The apple mac platform software sketch app gives you a full control over every elements and you have a wide range of possiblities to modify every elements and gives your creative magic touch. 100% vector elements gives you more control over every bit of graphics changes.